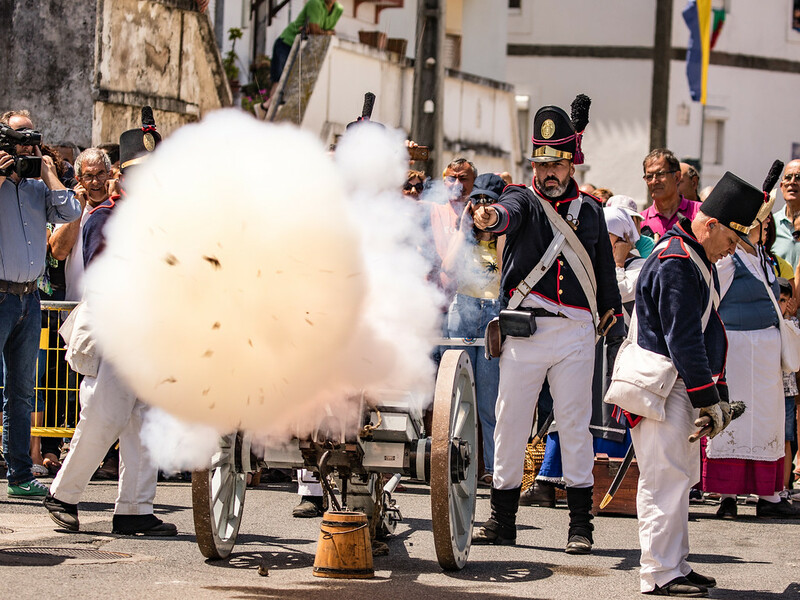 To see more images of the Battle of Vimeiro click here or on any image. 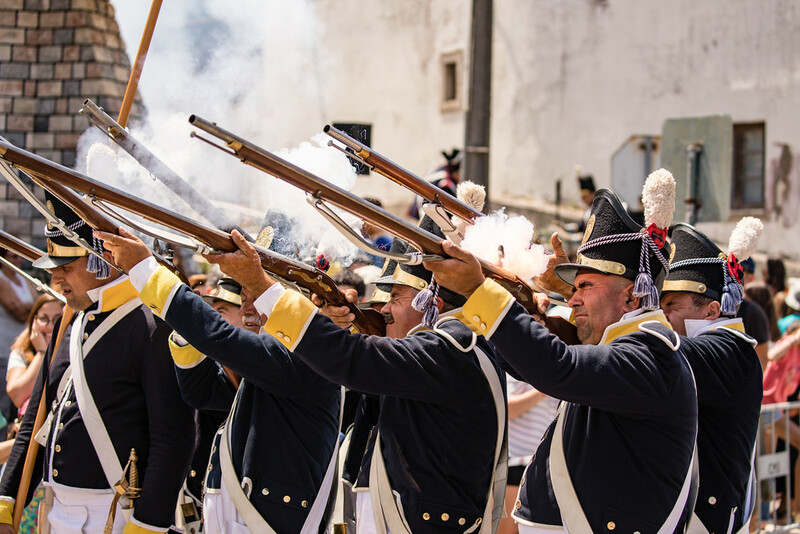 Every summer in the tiny village of Vimeiro, Portugal, less than an hour’s travel from Lisbon, a battalion of residents gathers to reenact the Battle of Vimeiro. 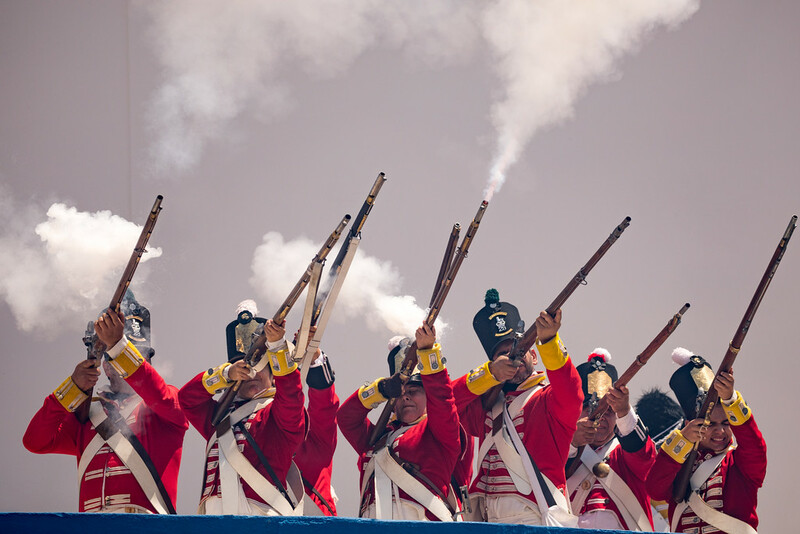 The conflict, which took place August 21, 1808, was the last gasp of the first French invasion of Portugal during the Peninsular War. In the battle, the British under General Arthur Wellesley (later known as the Duke of Wellington), with the assistance of Portuguese farmers, who were armed with little more than farm implements, defeated the French under Major-General Jean-Andoche Junot near the village. Vimeiro is only a few kilometers from our new Portuguese base, and we had been seeing posters advertising the event for months. We were excited when the big day finally arrived. Armed with my Canon 5D Mark IV and Canon EF 100-400mm lens I enjoyed the goings on and photographing this year’s spectacle.